At its press conference at the North American International Automotive Show this week, Volkswagen announced its first production location in North America. The Chattanooga plant in Tennessee is to produce vehicles based on the MEB modular electric toolkit. VW is investing about €700m (US$800m) in the plant. This expansion will create up to 1,000 new jobs plus additional jobs at suppliers. The first electric car from Chattanooga is to roll off the production line in 2022 and will be the ID Crozz SUV. Volkswagen will also offer the ID Buzz in North America. Over the next few years, eight MEB plants are to be developed in Europe, North America and China as the OEM builds up the production capacity needed to sell more than one million electric cars per year by 2025. “We could not be prouder to build the future of mobility here in the USA,” added Scott Keogh, CEO and president of Volkswagen Group of America. “We’re known as ‘The people’s car’ for a reason, and our EVs will build on that tradition.” In addition, the Chattanooga plant will continue to produce the Atlas and the Passat. In Europe meanwhile, Volkswagen Group is establishing a company focused on energy offerings and charging solutions. 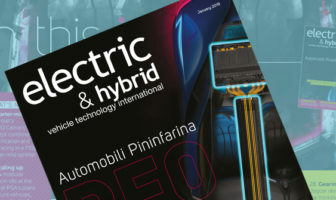 Elli Group, which is to be headquartered in Berlin, Germany, will develop products and services connected with energy and charging for the brands of the company. The company will gradually build up a portfolio of intelligent power tariffs, wallboxes and charging stations, as well as an IT-based energy management system. “We will be creating a seamless, sustainable ecosystem that addresses the main applications and provides answers to all the energy questions raised by electric car users and fleet operators,” explains Nicklaß. Up to the market launch of the Volkswagen ID (the first model based on the MEB modular electric toolkit) in 2020, the company will successively roll out a large number of solutions for private and commercial e-mobility customers – ranging from hardware to charging, additional digital services and complete advice packages.